By Kay Tan in Desktop. Updated on November 9, 2017 . 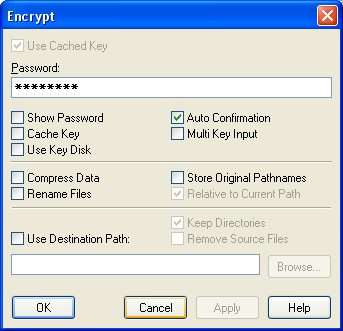 For the maximum security of files on your computer, it is essential to have a powerful encryption tool. A powerful encryption tool means it must at least provides several encryption algorithms and smart handling. For this, Blowfish Advanced CS does a good job is cryptographic implementations. In short, Blowfish Advanced CS is a file-encryption solution which offers multiple algorithms, efficient data compression, and safe key handling for content protection. Blowfish Advanced CS is an advance encryption tool but still very handy and user friendly. It actually encrypts megabytes of data per second and allows data compression at the same time. So if you’re looking for a free encryption tool with powerful features, try Blowfish Advanced CS.